That’s right! 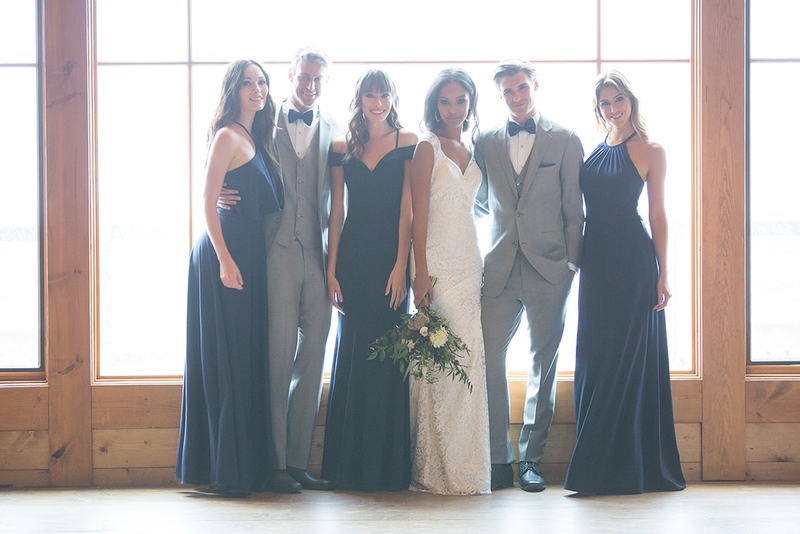 Molly’s Bridal is now offering an all-new line of Allure Bridesmaids, the signature line of bridesmaids dresses from the fabulous Allure Bridals. We have so much love for these fun gown designs. First, let’s get introduced to Allure Bridals! Allure Bridals originally started in 1998 as a retail store, but the company has since evolved into a bridal manufacturer. They introduced their very first gown in 1998 under the collection name, Exclusive Bridals. 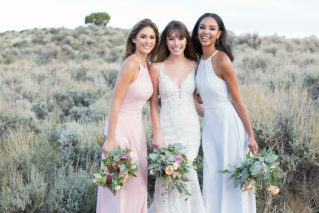 After that, they started the Allure Bridals line and began gaining a reputation in the wedding industry. In 2004, they completed construction on a home office and warehouse location. Only a few years later, they realized that they needed to expand their facilities and make room for an even larger operating space. Their past experience as a retail store was certainly paying off in the success of their elegant gown designs and excellent customer service. In 2010, they made plans to move to new home offices, located in Tennessee. At the time, they were working with retailers as well as dresses for weddings and proms. The rest is history! Today, Allure Bridals includes a diverse array of collections, including Allure Bridals (the flagship brand), Allure Couture (a bridal collection), and Allure Woman ( a plus-size bridal collection) which are all carried at our sister store, just across the street, LuLu’s Bridal. Molly’s Bridal is proud to incorporate the addition of the Allure Bridesmaids collection into our offerings! Shop online or visit us in store to try on these fabulous gowns. 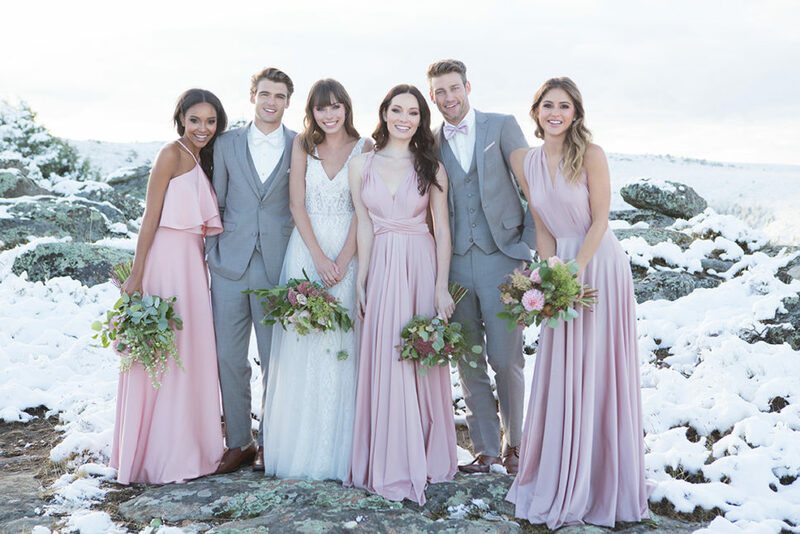 The Allure Bridesmaids collection is known as “the wedding party, simplified.” It’s here to meet the needs of every honored member of your squad! Choosing bridesmaids dresses doesn’t have to be complicated. The idea is that, with dresses from the Allure Bridesmaids collection, it can actually be quite simple, not to mention fun! Allure Bridesmaids dresses come in several silhouette options, such as A-line, mermaid, and sheath. They have even more choices when it comes to neckline, such as halter, one-shoulder, scoop, strapless, sweetheart, V-neck, high neck, sleeveless, illusion, and more. Gowns from the Allure Bridesmaids collection are available in either floor length or short, depending on personal preference. Most of the waistlines are natural, but they do offer empire waistlines as well. The beauty is in the details. Allure Bridesmaids dresses can include anything from back interest, lace, ruching, or 3-dimensional accents to ruffles, keyhole, or pleats. Talk about variety! Often in solid colors, Allure dresses can really stand out with the addition of these sweet little details. The secret to the beauty of Allure dresses is that their designs blend rich fabrics, like satin and lace, with intricate beading and detailing. Sounds luxurious, right? Well, if you add in the comfort of their patented Allure construction, then you’re left with a romantic, practical dress that looks as good as it fits and feels. That’s why Allure Bridals is constantly striving to help the wedding party to feel and look their best as they partake in all the wedding festivities. After all, isn’t the wedding party there to support and celebrate with the bride and groom, too? It all starts with picking out the perfect bridesmaids dresses. That being said, we can’t wait to share the new collection of Allure Bridesmaids with you! It’s our pleasure to help you to find just the right dress. Allure Bridesmaids gowns are available in sizes 2 through 28. The gowns range in price from $150-$250. Our bridesmaid department offers a professional measurement for a charge of $25. If you purchase a bridesmaid gown at Molly’s, the measurements are complimentary. Visit HERE to shop Allure Bridesmaids gowns at online or visit us in store to try on this new collection! No appointments required.